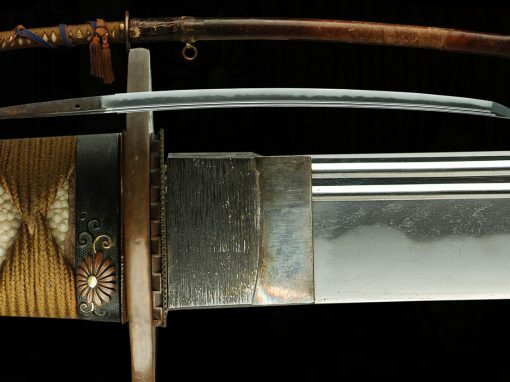 This is a modern made sword of great length at 29 ¼”. 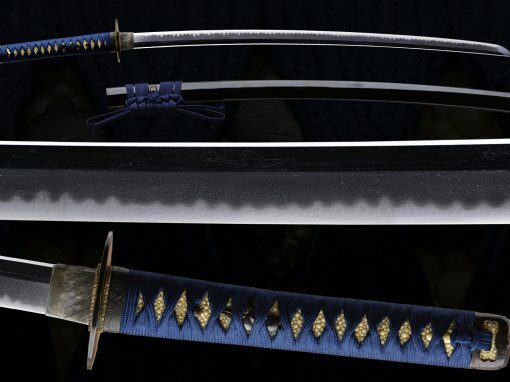 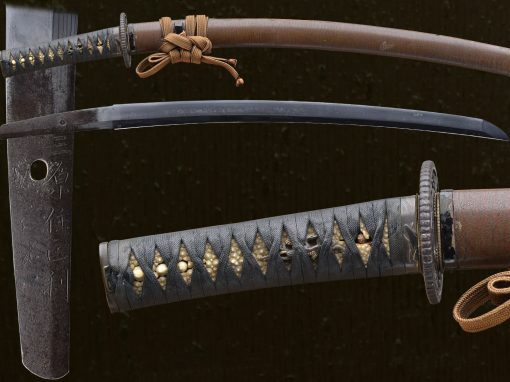 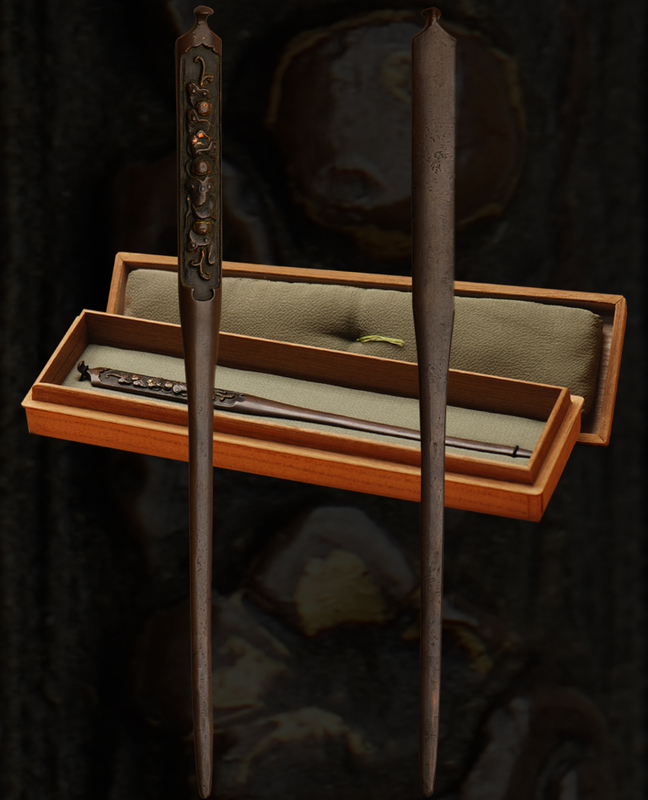 This sword was created specifically for training and cutting. 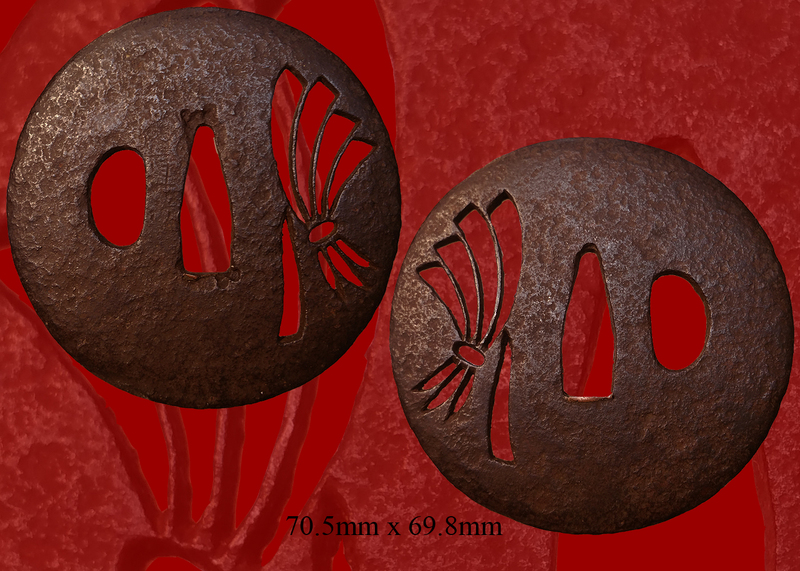 It is leather wrapped for optimum grip. 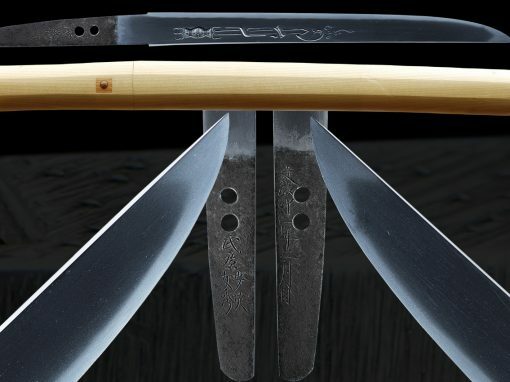 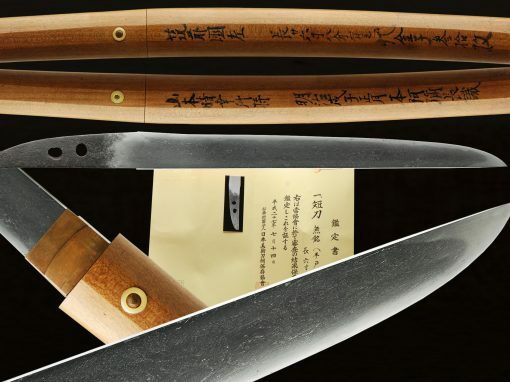 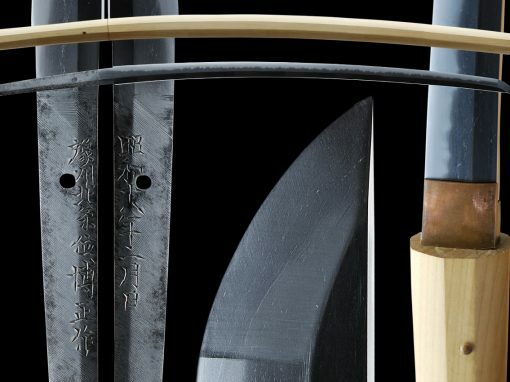 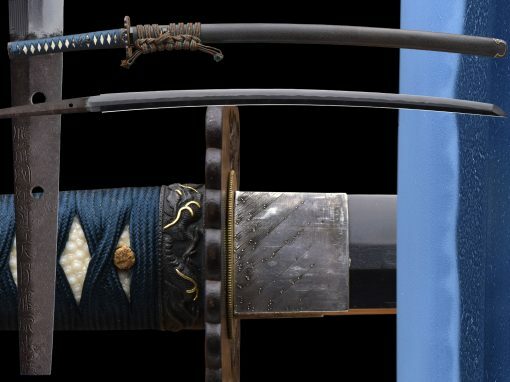 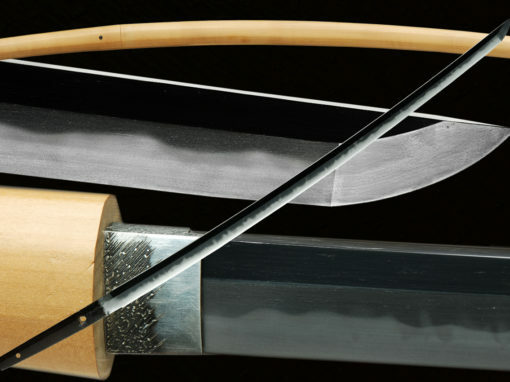 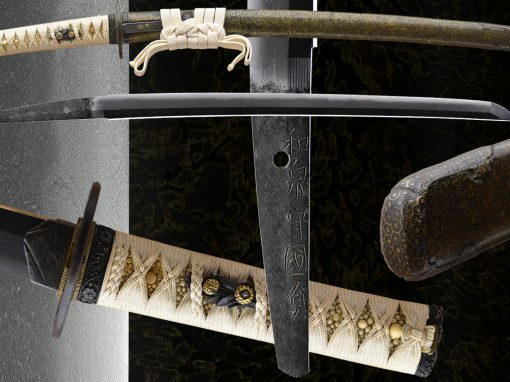 These swords are very popular for toyama ryu training. 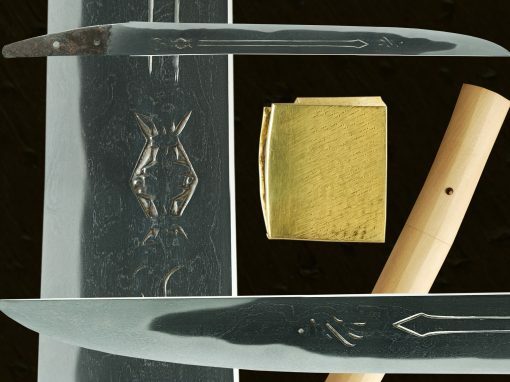 They are on the heavy side and were intentionally made this way to allow them to cut tatami extremely well. 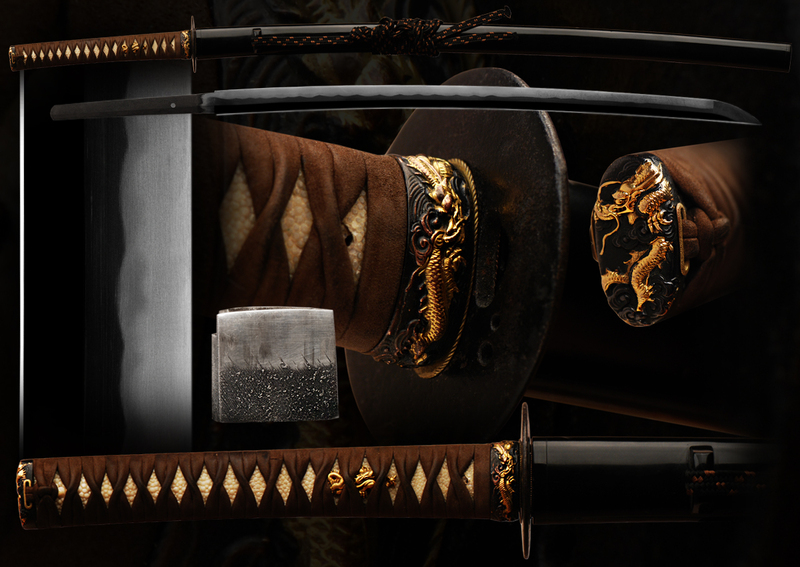 The sword is mounted with a Dragon themed koshirae. 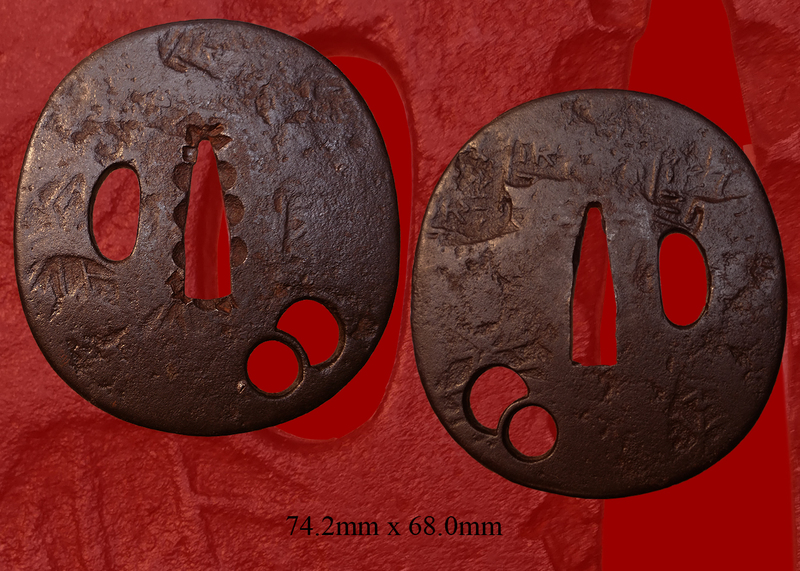 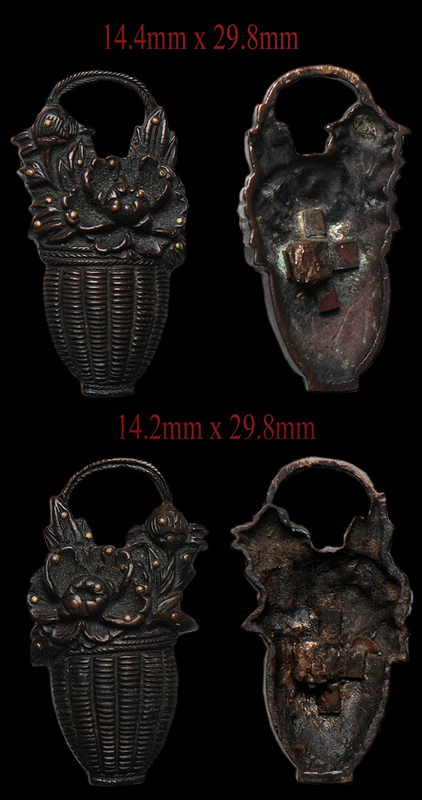 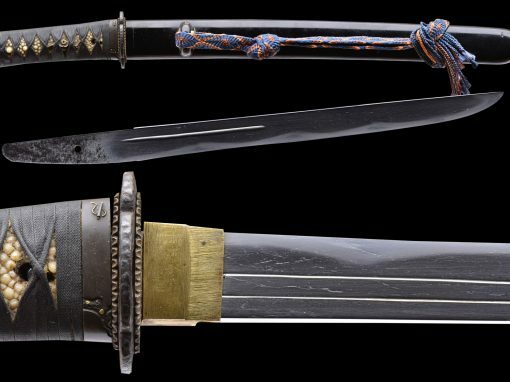 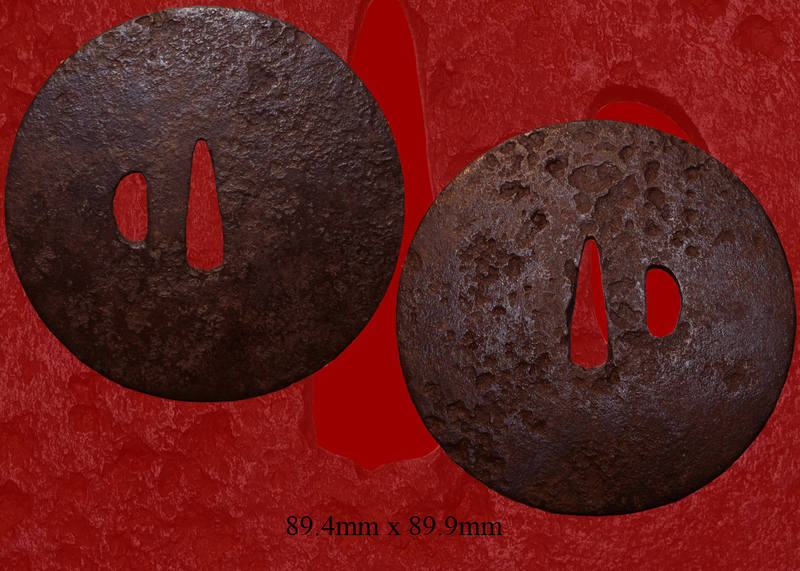 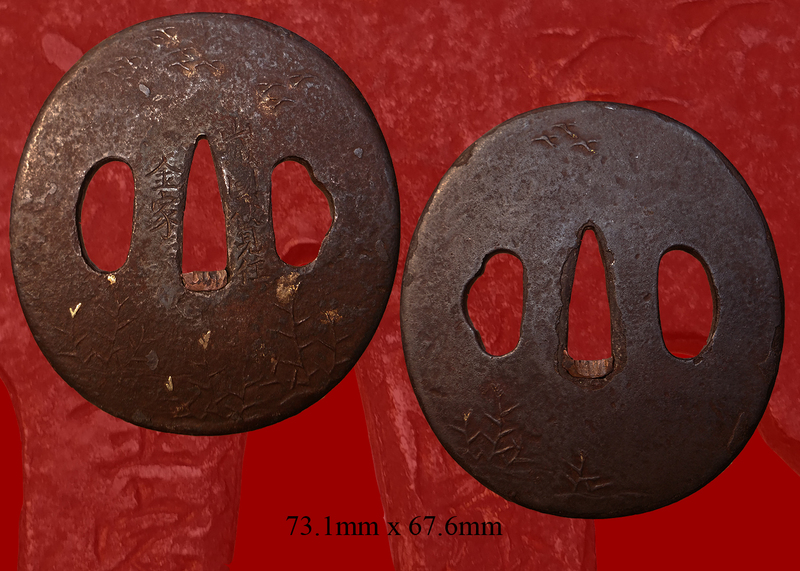 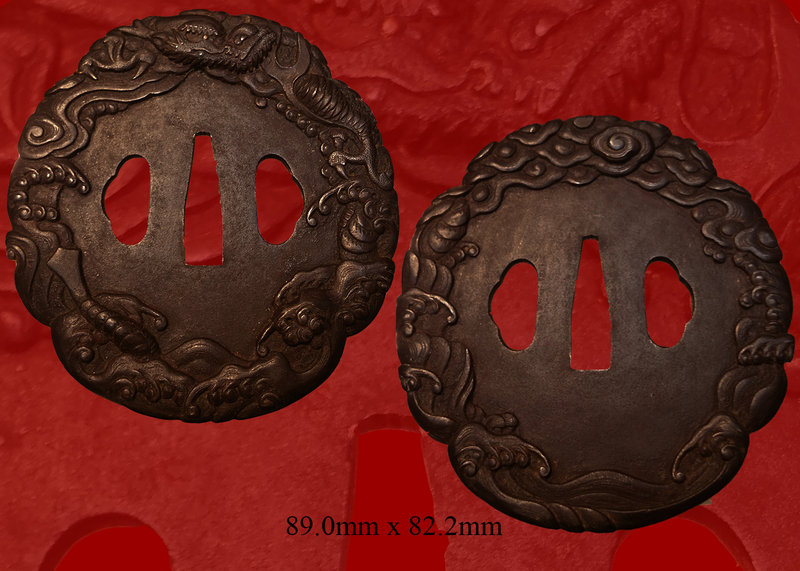 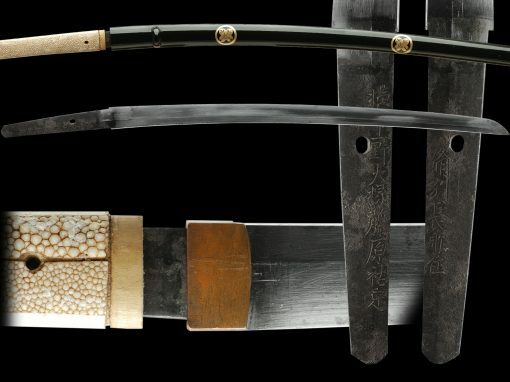 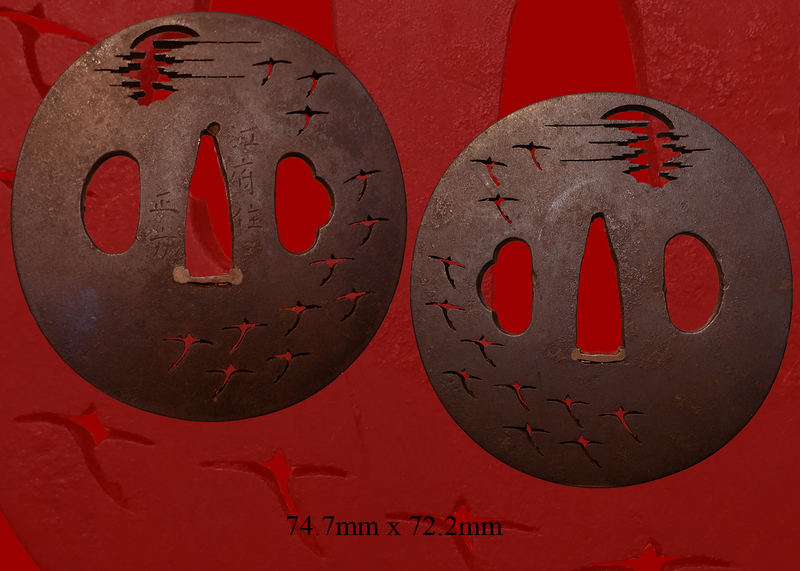 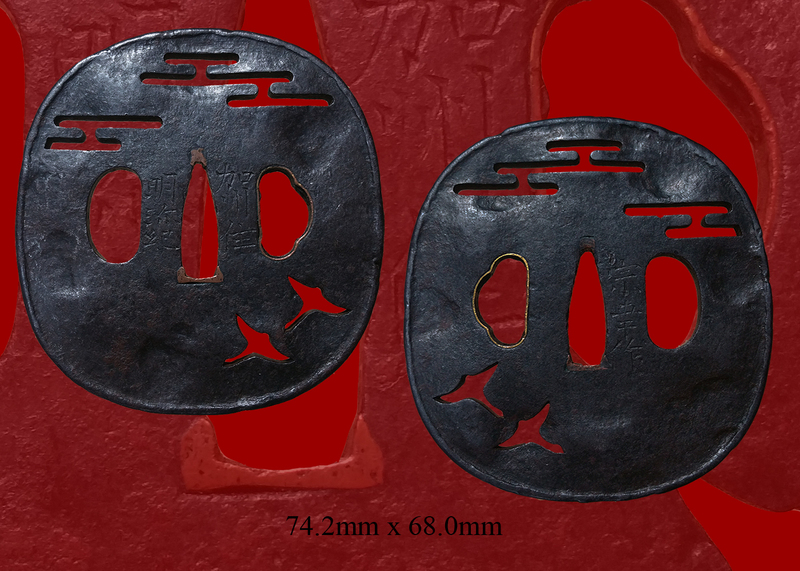 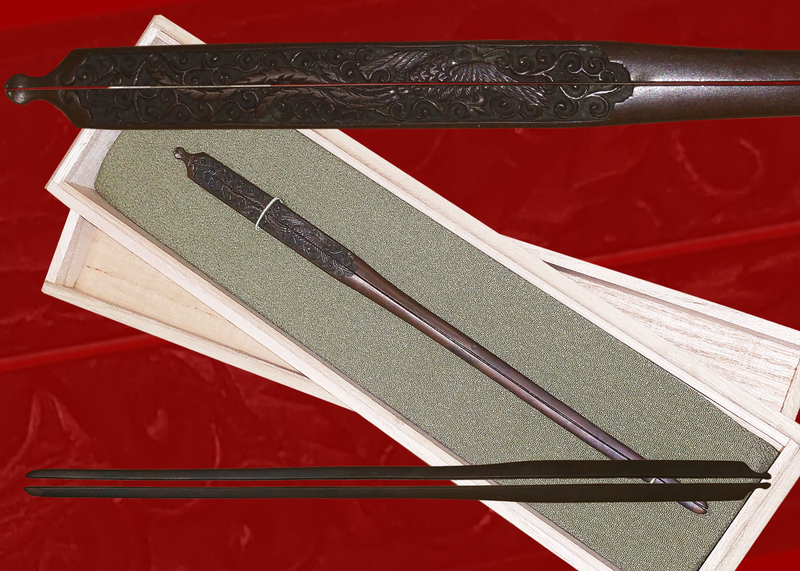 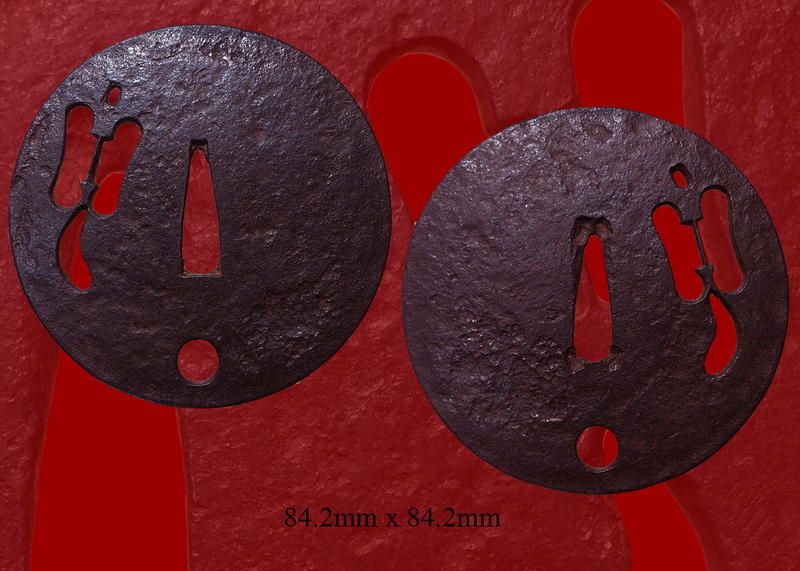 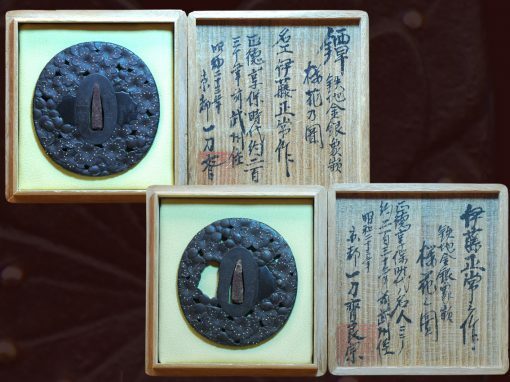 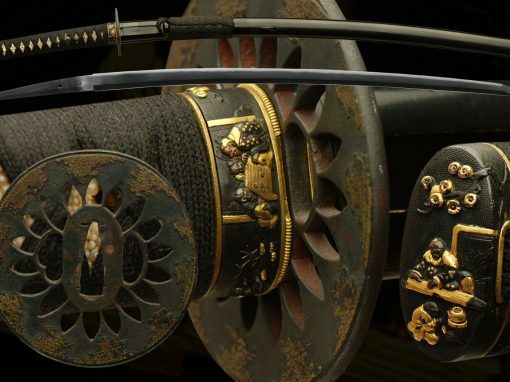 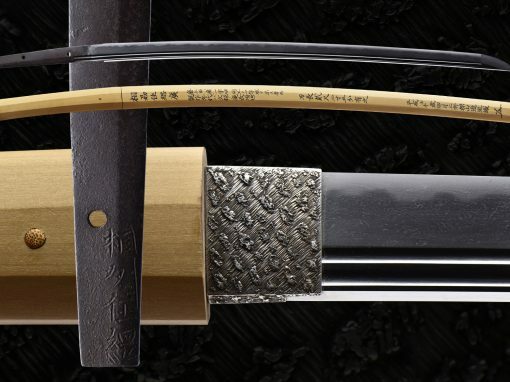 It is adorned with an antique armorer style Tsuba. 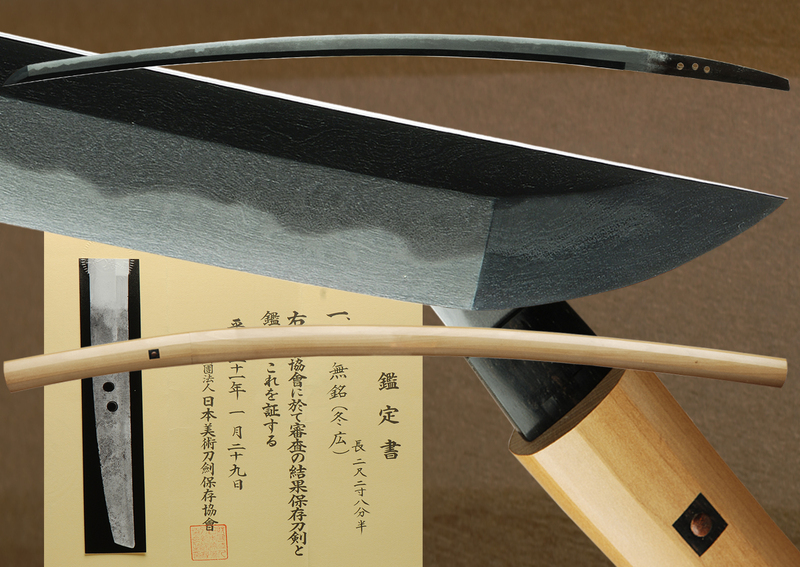 Beautiful black lacquered saya with black and brown Sageo. 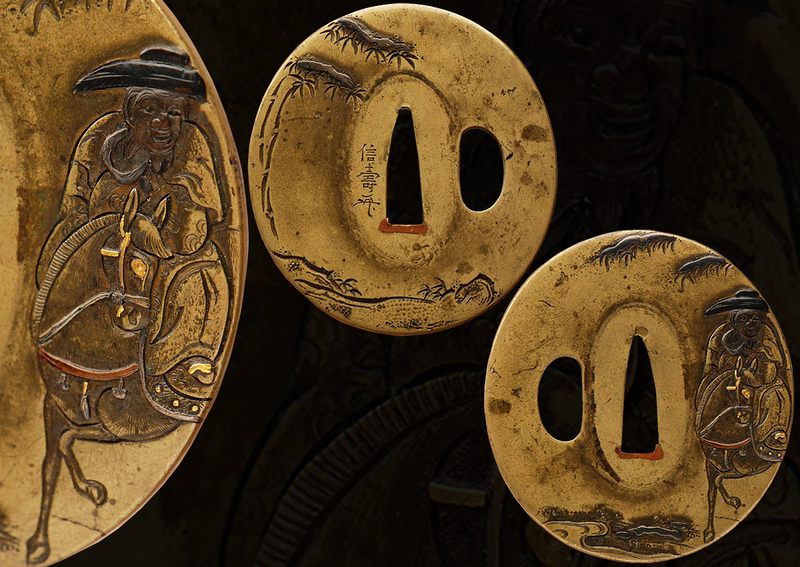 Many Chinese believed the dragon held, or at least chased, the sun, and many drawings depict this as a flaming red ball. 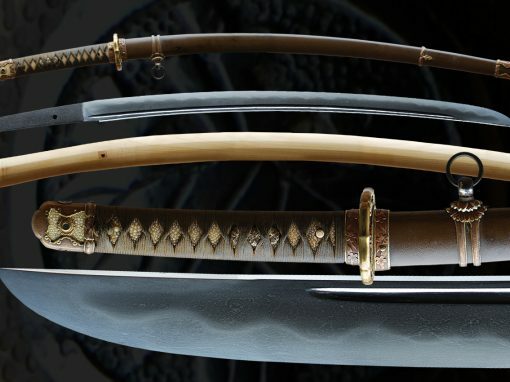 However, over the years, this sun changed color from red to a silvery-pearl color, and gradually the ball came to be considered a flaming pearl, known as the night shining pearl. 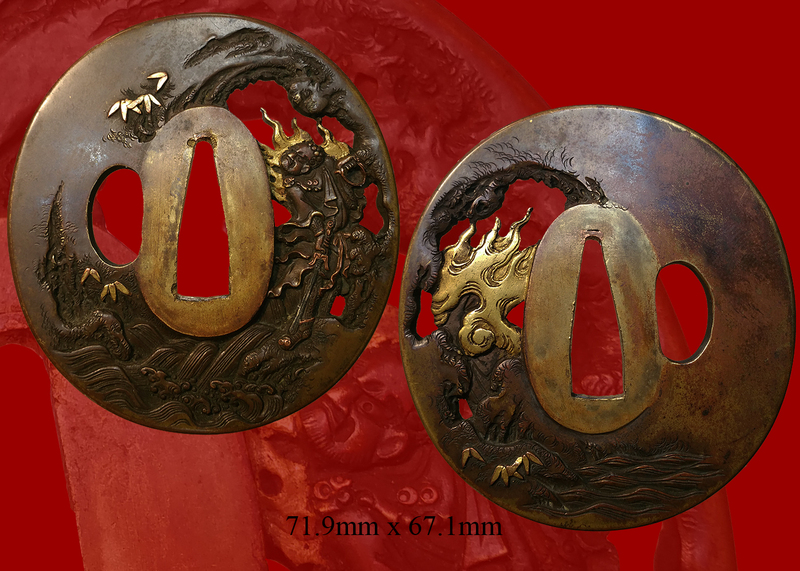 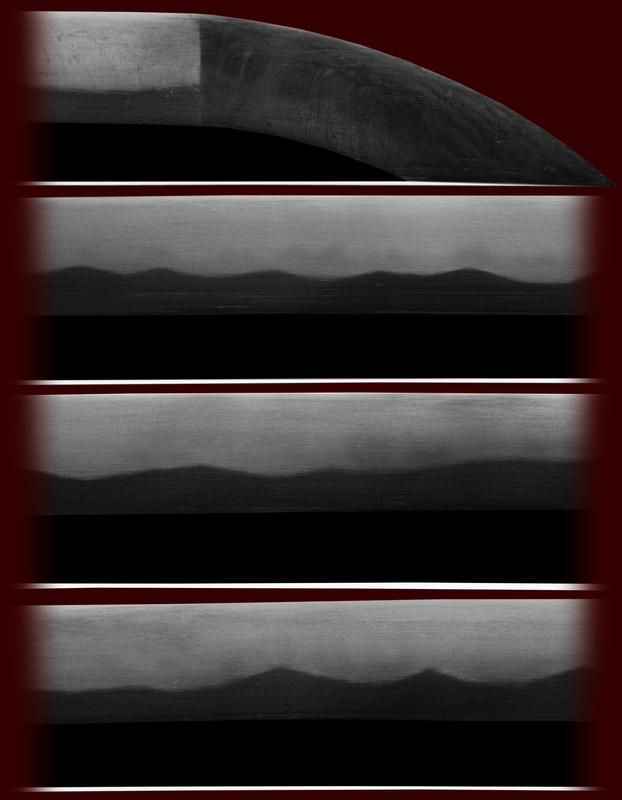 It is with this that the dragon is almost invariably associated in art. 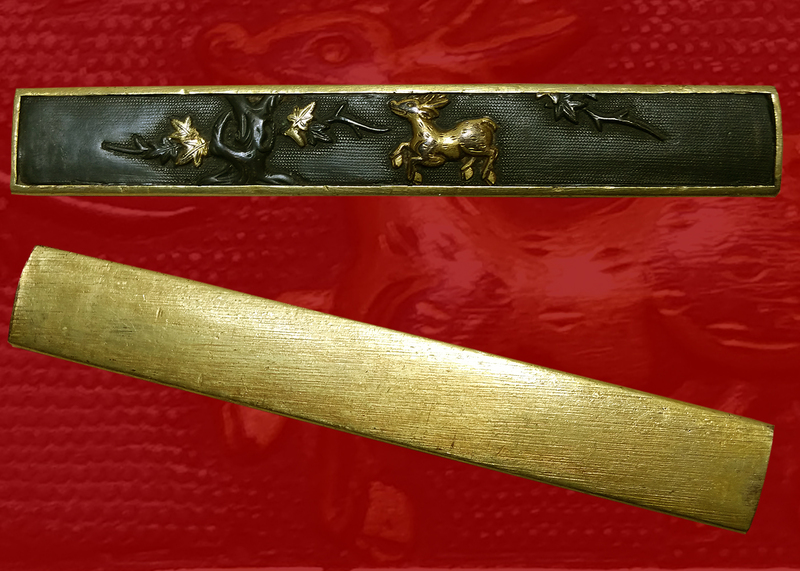 The link between serpentine shaped dragons and the pearl is reflected in a legend that states that Chi Liang, the Marquis of Sui, who was a Minister of State, was out walking one day, and found a wounded snake to which he gave medicine and saved its life. 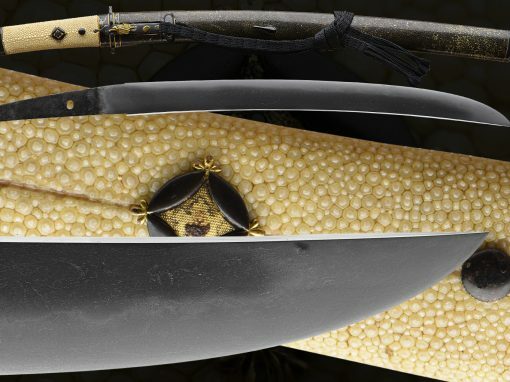 Sometime later, he saw the snake with a brilliant pearl in its mouth. 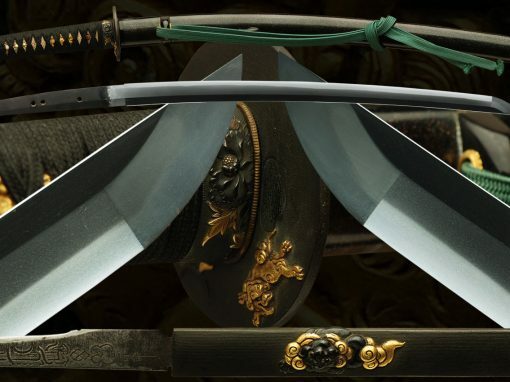 The snake said ‘I am the son of His Majesty the Dragon, and I am indebted to you for the preservation of my life, and I have brought this pearl to thank you for your kindness. 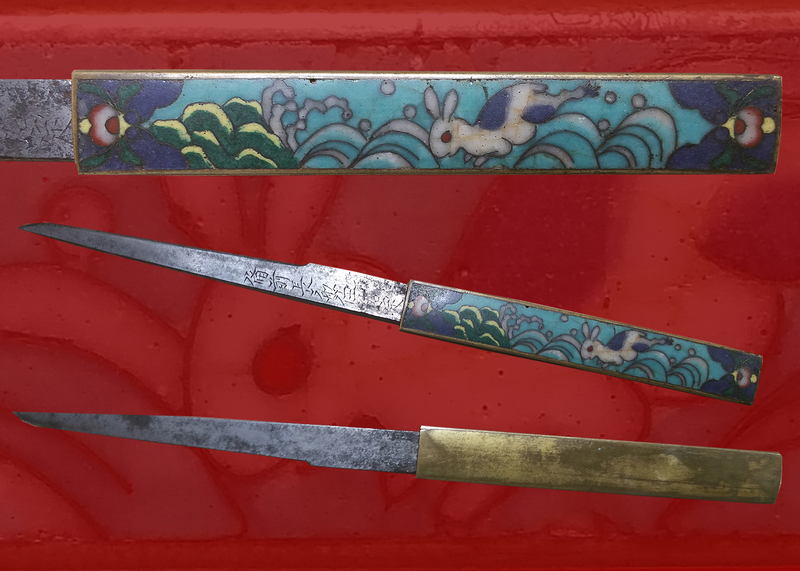 Condition: older polish and the blade is very sharp. 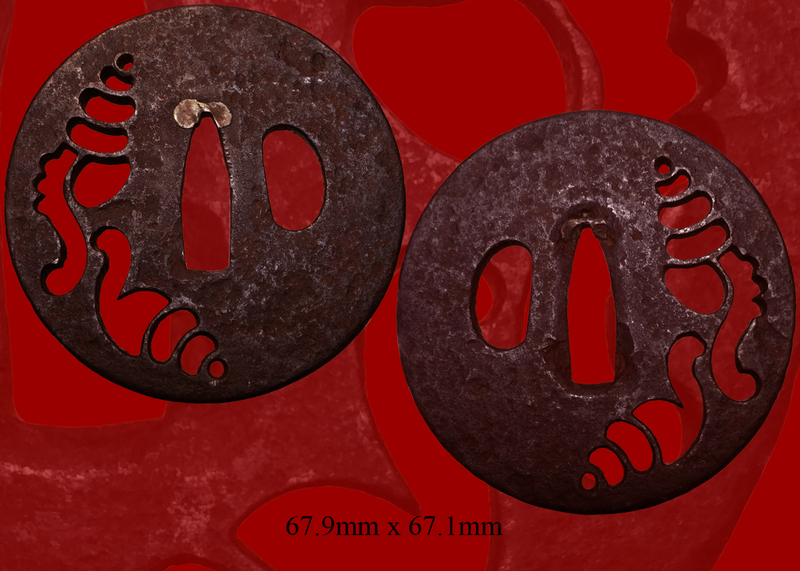 Email us if your interested in this item and remember to include the order number for this item: fss-633.